In the winter of last year the fate of the Clearwater was unclear. The longtime Hudson Valley education and environmental program needed to complete approximately $850,000 worth of renovations mandated by the US Coast Guard. The sloop Clearwater has nearly completed these renovations. The sloop, which has now returned to the Hudson River Maritime Museum, will be anchored until July. While at the Hudson River Maritime Museum the crew is completing the necessary preparations—up-ringing and reinstalling the galley and other components— to start sailing again. This will be the Clearwater’s 47th year of traveling up and down the Hudson River, educating and promoting environmental stewardship and responsibility. 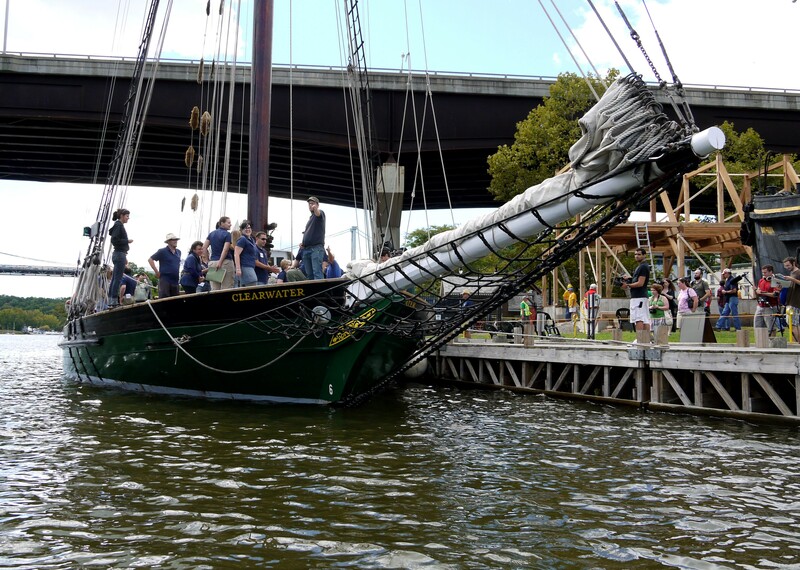 A public ceremony and ribbon cutting event to celebrate the return of the Clearwater will be held at Waryas Park in Poughkeepsie on July 4 from 5:30-6:30pm. The event will feature a blessing, refreshments, live music and kids activities. At 7pm the Clearwater will hit the water for its Independence Day sail. Tickets to the sail can be purchased on their website, Clearwater.org.